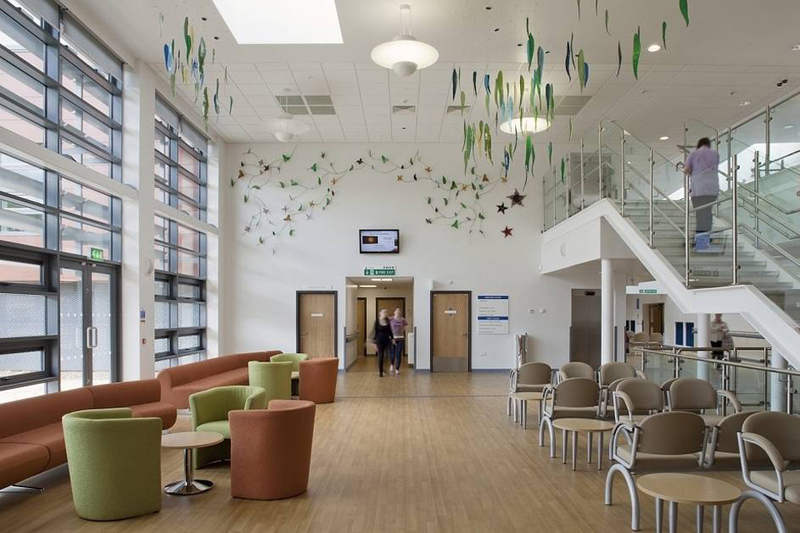 This new-build Primary Care Centre is a combination of health and social care facilities linked to an existing sports and leisure facility including GP practices, a minor injuries walk-in centre, planned care and diagnostics suite, minor surgery treatment centre and a 24-bed rehabilitation unit. Community facilities such as a café, education centre and community accommodation have also been provided. 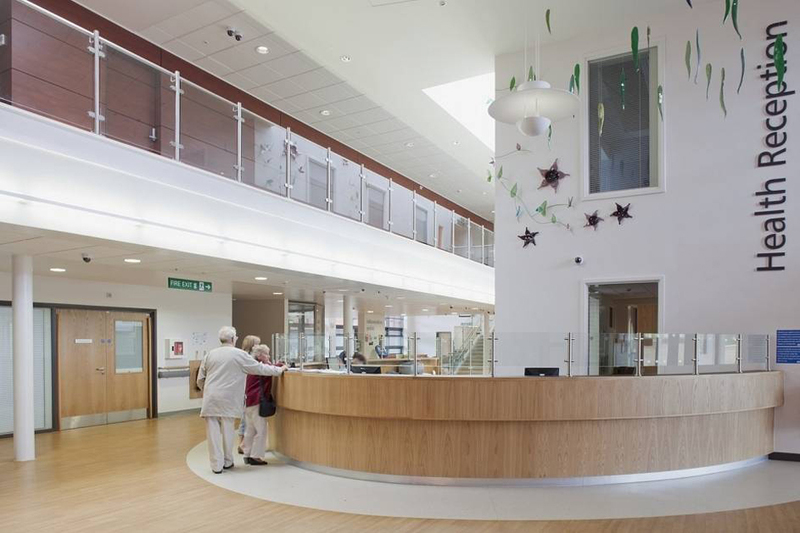 The client’s aspiration was for this project to be an exemplar site for low carbon construction techniques and this was the first healthcare project to achieve a BREEAM ‘Outstanding’ rating as well as using innovative construction methods. An innovative low-energy, hollow ventilation system was developed and incorporated into the building fabric, including a ‘thermal wall’ to provide natural ventilation and passive cooling to the public spaces. This thermally massive ‘thermal wall’ forms the spine of the building, circulating the air from the plenum into individual spaces. Precast concrete soffits work with the heavyweight masonry walls to provide thermal mass, which can reduce the energy needs of the building over the lifetime of the building and also provide occupant comfort. 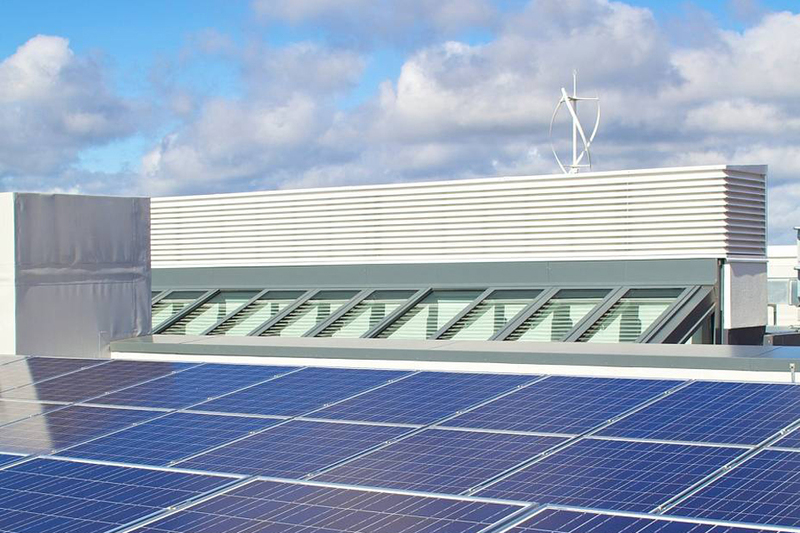 The building was also orientated to take advantage of solar gains during the winter months and shading was provided to prevent overheating in the summer. 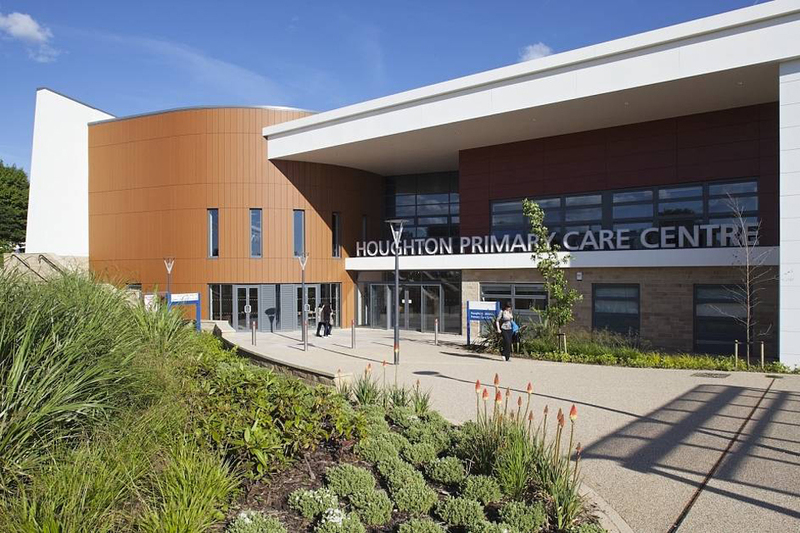 The building envelope U-values were enhanced to 20% above the minimum requirements of Approved Document L and the air permeability rate was enhanced to 40% above the minimum requirements of Approved Document L.
Houghton-le-Spring Primary Care Centre won the Healthcare category at the 2012 BREEAM awards.